Where Can I Buy Natural Hair Products? It’s no secret that shopping for vegan hair products is one of the trickiest things on many people shopping list. With so many hair products manufacturers out there that try to hide their own ethical activities, how can you be sure the products you are buying are cruelty-free? For many vegans, this means spending hours reading through the labels and researching companies to ensure they don’t test on animals. Surprisingly, many of these manufacturers will purposely try to hide the truth and give really vague answers to these questions. However, there are actually a new breed of ethical manufacturers that are beginning to enter the market. 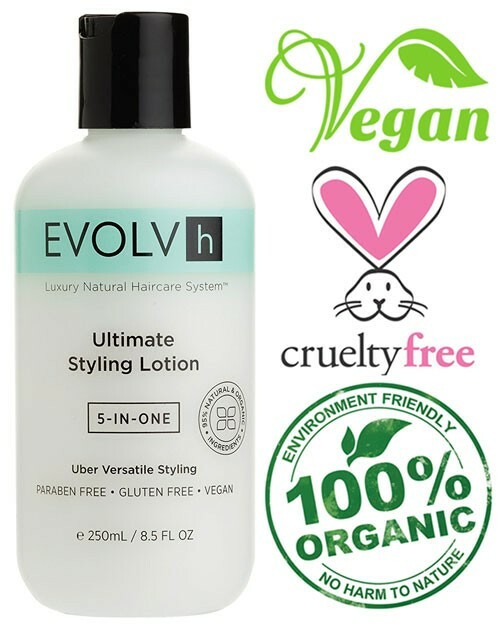 These manufacturers have one mission: to provide the best cruelty-free and vegan hair care that don’t contain animal derived ingredients or are tested on animals. Known as vegan or ethical brands, you’ll be lucky to find these in your local store which are usually dominated by the big brands. Instead, you need to look elsewhere to find the best ethical alternatives. To help you on your mission of finding the best vegan hair care, we’ve compiled an incredible list of our favorite ones. From hair gel, to hairspray, and even hair serum, these products are suitable for everyone and contain no animal ingredients or animal testing. Whether you’re looking for the top-rated cruelty free hair products, or you just fancy making the switch to cruelty-free hair care, you’ll find plenty of vegan and cruelty-free hair products below! Unlike regular hair products, cruelty-free hair care products are an entirely different breed. Not only do they contain fewer chemicals and ingredients than their competitors, but they also usually have more environmentally friendly packaging. As the people who make these products are often themselves vegans and environmentalists, they make sure they do everything they can to create the perfect product. There’s no point selling a vegan hairspray if it contains lots of dangerous chemicals, parabens, and excessive packaging. Instead, these cruelty-free hair products are designed to be as environmentally friendly, organic and as natural as possible. This means they only contain natural ingredients which can do wonders to your body. Moreover, unlike the big brand greedy corporations, they also have a sense of moral responsibility. This means they ensure that their ingredients come from ethical suppliers who aren’t damaging and harming the environment. By researching their suppliers, they can ensure that everything put into their products are as safe and ethical as possible. Here at Only Buy Vegan, we love 100% natural hair products and have been using them for decades. Surprisingly, there are actually a lot of ethical and cruelty-free brands out there, but you usually won’t find them in the supermarket. Instead, you’ll have to look in other places. If you walk through your favorite store and check out the products on the shelf, you’ll often be disappointed by the choice. Many of the shelves are dominated by big brand corporations and leave little room for smaller competitors. It might look like the large store favor the big brands, and actually, you wouldn’t be wrong. In order for a product to be sold in a large store the manufacturer or supplier usually has to agree to a large shipment or quantity. For many of these small ethical brands, that can be a huge commitment which many are not willing to take. Not to mention, in some cases, if they don’t sell enough stock, they’ll be expected to take the ones that they didn’t sell back. This can often seem like more of a gamble than a sound business decision. This, in turn, forces many smaller manufacturers to find other ways to sell their products. One of the most popular and successful online stores in the world has to be Amazon.com. Not only will you find plenty of big brand names on there, but you’ll also find plenty of small ones which often have better reviews. With companies like Amazon.com, this dramatically reduces their barriers to entry for small manufacturers while also helping them increase their exposure and reach. Why sell your products in just a few stores in America when you can ship them worldwide? Thanks to the Internet, many smaller brands have managed to grow and expand their product range to the masses. With thousands and thousands of cruelty-free products available on Amazon, you’ll have to spend hours trying to find the best ones. Alternatively, you could just check out our convenient list of top rated hair products below! If you have long hair that you like to straighten or curl, then you probably know how hard it can be to detangle your morning mess. Some people wake up with hair so tangled that it can often be a daily chore just to get it straight. But fear not, Original Sprout have an amazing cruelty-free hair product that will make your morning routine a lot easier. 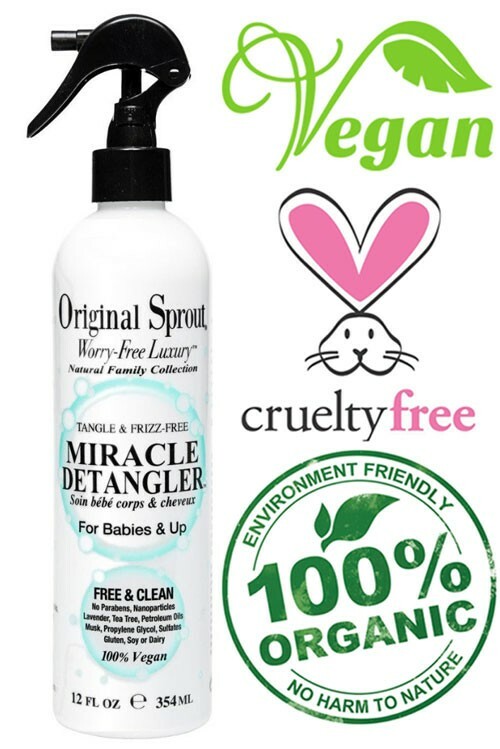 Appropriately named the miracle detangler, this 100% vegan formula contains no soy, gluten, honey or dairy. Simply apply the formula to your wet hair in the morning and watch it work its magic. Suitable for babies, children, and adults, this stuff can literally work miracles and save you hours of detangling your hair. Available in a regular 12 ounce and a handy 4-ounce travel size bottle, you really have no excuse not to take it with you everywhere. If you’re constantly having to battle tangles and curls in the morning, save yourself the stress and headache with original sprout miracle detangler. Starting off our list is this “feed your roots” mousse. Produced by the people over at Yarok, which means green in Hebrew for those of you that don’t know, this mousse is designed to repair your damaged hair. No matter if you have thin, limp, or damaged lifeless hair, this cruelty free hair mousse provides your hair with all the nutrition it needs to become healthy again. Containing ingredients such as nourishing vitamin water, organic aloe vera, and various A, B, and C vitamins, you’ll instantly notice an improvement in your dull hair over the first few weeks. Created by the renowned Israeli hair stylist, Mordechai Alvow, this vegan hair mousse is 100% free of alcohol, parabens and sulfates. Not to mention the product isn’t tested on animals and meets all of the company’s strict vegan requirements. In addition to the products being completely cruelty-free and free from any harmful chemicals or parabens, Yarok also donates 3% of his annual profits to The Pachamama Alliance. This means you’re not only supporting a cruelty-free brand, but you are also helping to protect over 10 million acres of rainforest in the Amazon. If you ask us, that sounds like a really good deal. 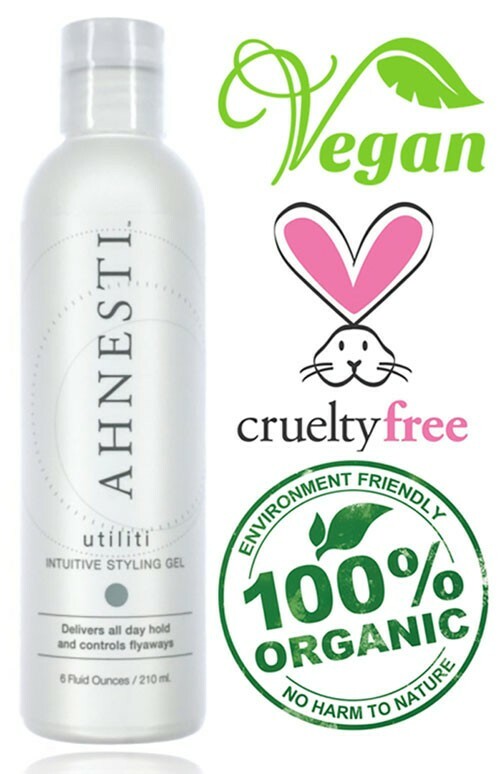 Looking for some cruelty-free hairspray that isn’t tested on animals or damages the environment? Then you’ll love this styling mist by Giovanni Organics. Featuring a non-aerosol pump, this styling mist gives you the finishing touch to your style making sure it stays in place all night long. With its high shine and quick drying formula, this mist effortlessly holds your hair in place all day. Ideal for hot nights, or anything involving hot lights and sun, this vegan hair product will give your hair the hold that it needs. The non-aerosol pump design means less gases environment, while still getting that incredible pump action spray. Unlike other hair brands out there, Giovanni Organics have clearly thought about their impact on their environment and how to reduce it as much as possible. 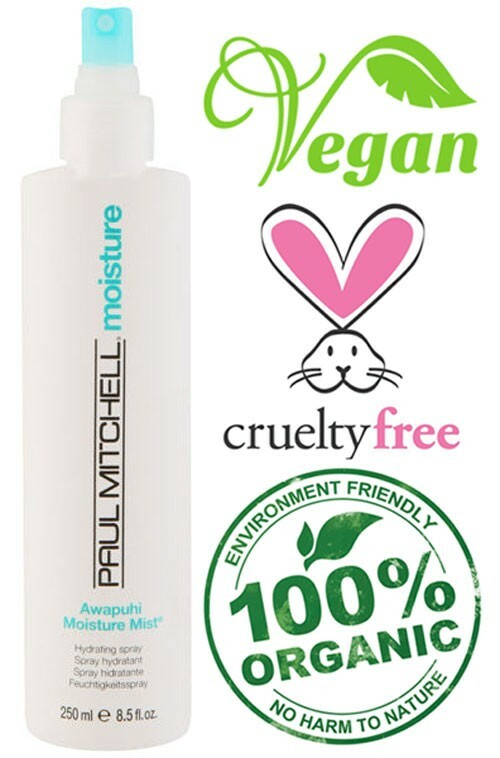 If you want to do your thing to help save the world and animals, then this cruelty-free non-aerosol styling mist is a great place to start. We all know that regularly using straighteners and hairdryers can severely damage our hair, but we often don’t do anything about it. As time goes on this often leaves our hair dry, frail, and damaged with lots of frizz. In order to reclaim your hair and get it looking silky smooth again, you’ll need to use a deep nourishing conditioner that gives your hair all the nutrients it needs to repair itself. 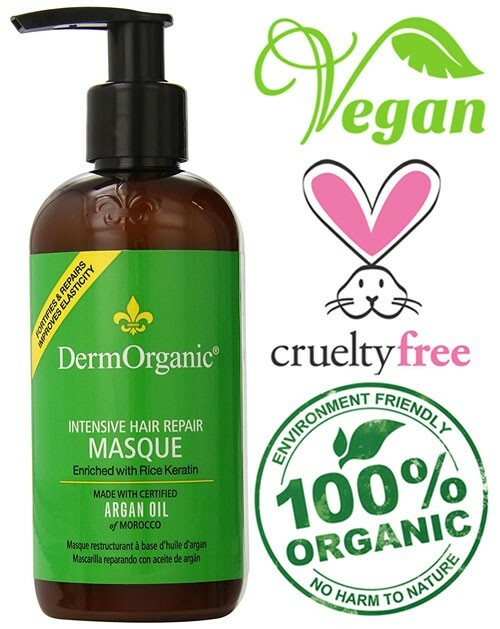 One moisturizer for the job has to be the intensive hair repair masque by DermOrganics. Founded in 1995 with the sole purpose of offering super effective hair products with as little synthetic ingredients as possible, DermOrganics have managed to produce some incredible products. Made entirely from cruelty-free ingredients with no animal by-products and never being tested on animals, the intensive hair repair masque shows other brands how it’s done. Rich in amino acids, not only does it repair the damage but it also neutralizes the pH balance and restores resilience to processed hair. Made without silicon or glycerine, there’s no chance of chemical build-up. No matter your hair type or current condition, this vegan hair product can work wonders on even the most damaged hair. For most of us girls, a good hairspray is often the most essential thing in our toolkit. 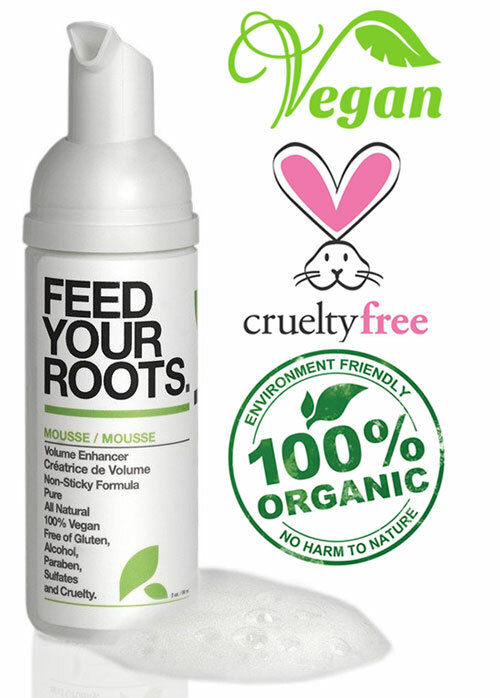 But, with so many different hairsprays out there it’s essential to make sure the one you choose vegan-friendly. 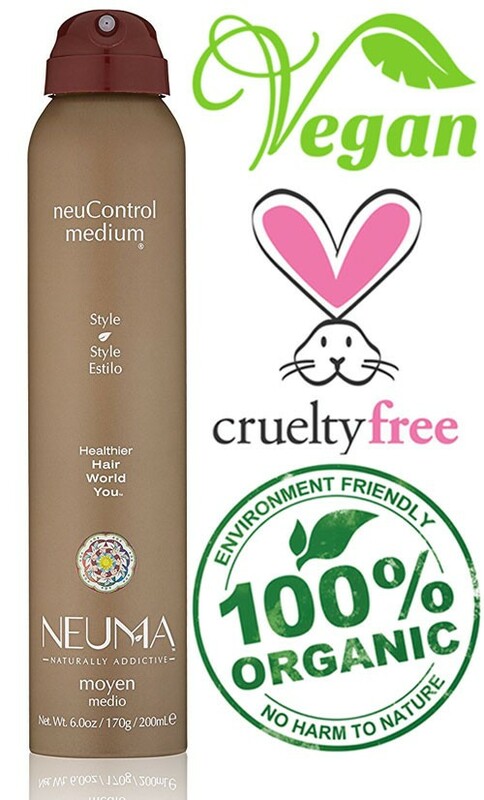 The guys over at NEUMA have done a great job creating this cruelty-free and organic medium hold hairspray. Not only is it PETA approved and contains certified organic extracts, but it also uses plant-based color safe ingredients and 100% recycled fiber containers. Not to mention that it also uses certified wind power in its manufacturing process. As you can see, NEUMA are very strict when it comes to working suppliers and only use the most ethical ones. The hairspray itself contains zero sulfates, parabens, gluten means, neurotoxins and any environmental pollutants. All while still being able to deliver a medium hold, which is ideal for layering and added support. Recommended for both short and long hair, this hairspray proves that you don’t need to use lots of dangerous chemicals and pollutants to deliver results. If you’re already using a non-vegan hairspray at the moment than we would definitely suggest switching to this. Chances are you won’t notice the difference, but you’ll feel good knowing you’re helping the environment and not harming any animals. Moving on with our list of hair products, we have this impressive hair styling gel by AHNESTI. Apply to the hair like a regular gel; you simply use it in combination with your straighteners or hair dryer to deliver an all-day hold. If you’re looking for something that gives medium hold but great heat protection from your appliances, then look no further. This hair styling gel is made from 98% naturally derived ingredients and 70% certified organic ingredients. Just like many of the products on this list, it also contains zero parabens, sulfates or GMOs. This, in turn, makes it 100% cruelty-free and vegan. With a solid hold and heat protection built into this formula, you can protect your hair and make it look good with ease. If your hair is taking too much punishment from your appliances, then save it before it’s too late! For those of you that don’t know what moisturizing mist is, then get ready for a revolution. Moisturizing mist is a hydrating spray that is perfect for dry hair and tired skin. With so much moisture, vitamins and over revitalizing ingredients, moisturizing mist gives your hair and skin nutrients it needs to protect itself. No matter if you have a dry and flaky scalp, also free from sensitive, dry skin, this moisturizing mist can soothe and cool those areas to make sure they are protected. This moisturizing mist in particular by Paul Mitchell ensures soft and healthier looking skin with just a few sprays throughout the week. But that’s not all, when applied to your hair it also works to make it super soft, hydrated. and silky smooth. Another bonus is that we just a few sprays on your hair it can quickly reactivate styling products such as hairspray, gel, or styling lotions. Perfect for when you’re out and about and need a quick touch up without having to restyle your hair again. If you’ve never tried moisturizing mist before, then we suggest you give it a go, you’ll be amazed at what it’s capable of! Since we’ve covered a lot of female hair products on this list, don’t think we forgot about you guys! This cruelty free pomade is perfect for that shorter hair and leaves a nice matte finish with a strong hold and no residue. Made by Jack Black, (the company not the actor! ), this clay pomade formula contains no alcohol, parabens, or synthetic fragrances. This means that it’s 100% vegan and cruelty-free while not being tested on animals. Every product features certified organic ingredients with Jack Black working closely with their suppliers to ensure they follow strict guidelines. Pomade itself is ideal for short that needs a firm hold and nice matte finish. Simply apply it to damp or dry hair and then sculpt it into place to add texture and volume. The pomade also includes a natural looking shine which gives a nice effect in the sun. Unlike other pomades on the market, it’s a lot less greasy and doesn’t contain as much gunk and oil. This means its a lot less harsh on your hair and doesn’t cause problems with sensitive skin. If you’re currently using pomade that is incredibly oily and greasy, then you’re in for a treat with this incredible cruelty-free hair gel. 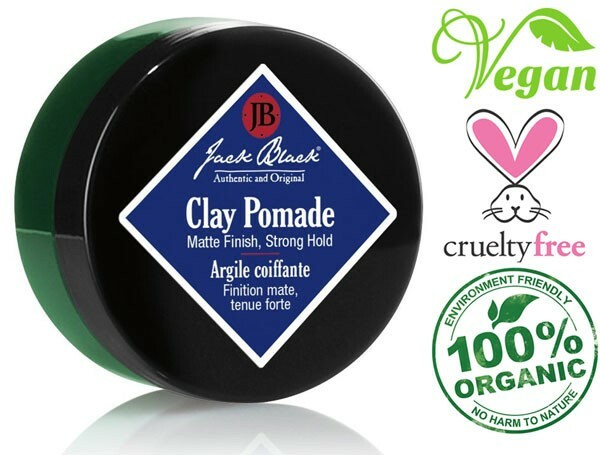 Make the switch to cruelty free hair styling products such as Jack Black’s clay pomade, and you’ll look cool while saving the lives of animals! Dandruff is one of those conditions that nobody wants to talk about. Its caused by a dry and irritated scalp that flakes of leaving an embarrassing trail of dead skin on your clothes. Luckily, if you do have dandruff, then it can be cured with the right soothing shampoo. Soapberry for hair is a hydrating and repairing shampoo that was created by tree to tub. As you can probably tell by the name, the ingredients in formula our boat as natural and organic as they come. Containing natural ingredients such as soapberries, aloe vera, and olive leaf the formula is designed to give your hair and scalp the maximum hydration it requires. This is great for anyone with dry or damaged skin as its gives your hair its much-needed moisture. Founded initially on Kickstarter, the campaign raised over $40,000 from over 800 backers. If they believe in the shampoo, then there’s no reason why you shouldn’t either. Do you own lots of shampoos and conditioners that just take up space in your bathroom? Why spend lots of money buying various hair products when you can save yourself a fortune by just buying one? This is exactly what the Ultimate Styling Lotion by EVOLVh was made for. Featuring 5-in-1 different uses, from improving volume and shine to decreasing curls and frizzing, this vegan hair product will save you plenty of time and money! As you’ve probably realized by now, just like every other product on this list, it’s 100% cruelty-free and contains no animal products or by-products. But in addition to this, EVOLVh also make sure that their products don’t contain any sulfate, parabens or sodium chloride, giving you that extra piece of mind. Offering an impressive range of uses to tackle some of the most common hair problems, this Ultimate Styling Lotion is certainly a must-have. Save animals and money by switching to this incredible creation. 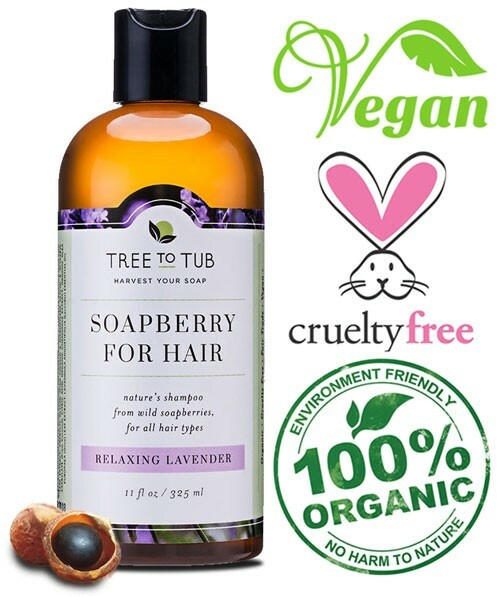 Looking for other types of vegan hair care such as shampoo? 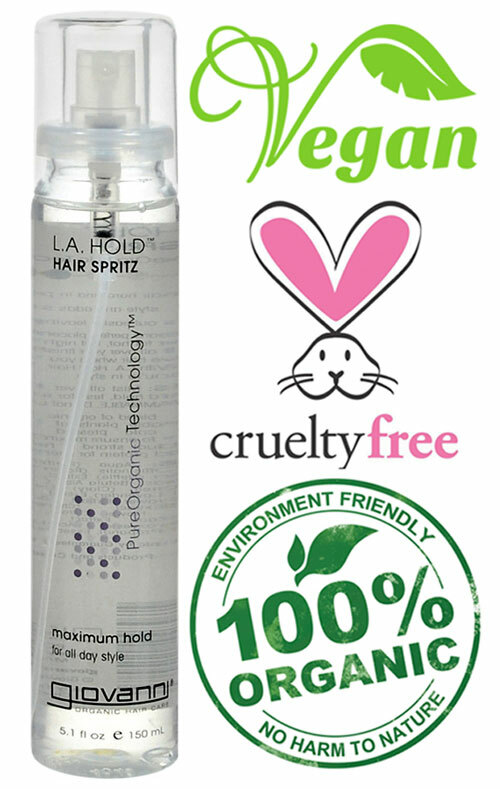 Be sure to check out our in-depth post on the various vegan and cruelty-free shampoos available.